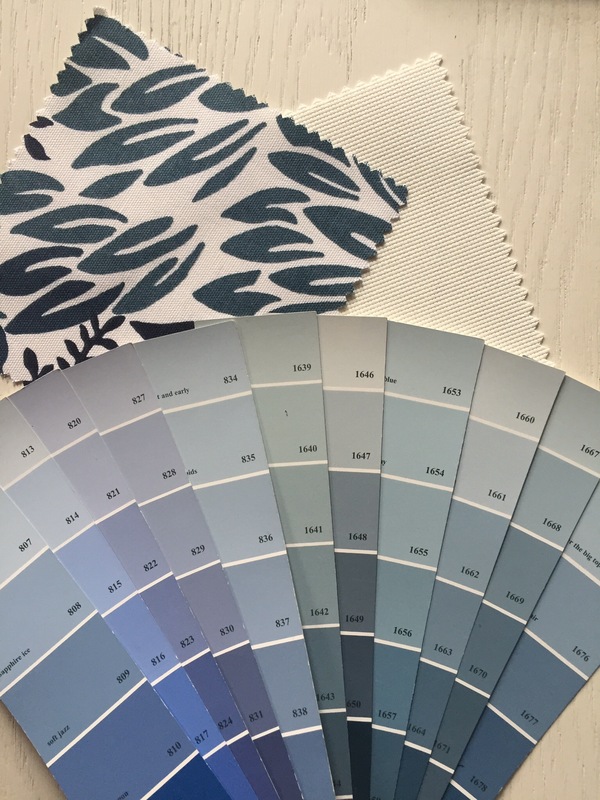 As a design professional, one of the largest challenges I face is trying to feel like my home is in a good place all the time. The truth is, your home is a never-ending cycle of projects. From day to day activities like cooking, cleaning, etc., to larger projects and renovations, there is always going to be something to be done. I work with my clients on this all the time, but it is tricky to actually follow this rule myself. Focusing on one thing at a time, and working with what you have is so much easier said that done, especially when I don’t have a copy of myself to hold my hand and walk me through it. So, do as I say, not as I do! That said, I have been working on being happier with my space, with what I have and where we are at, without everything being exactly as I hope it will be someday. I thought it would be good to focus on one room at a time, create a list and tackle it for each space to really get them in a good place. This would focus on the cosmetic only, it’s not a knockdown, drag-out scenario where you are crashing through walls or anything like that, so it keeps things small, dealing only with the finishing touches. My problem is I don’t know where to start! Maybe I should start small and tackle the completion of our entryway. 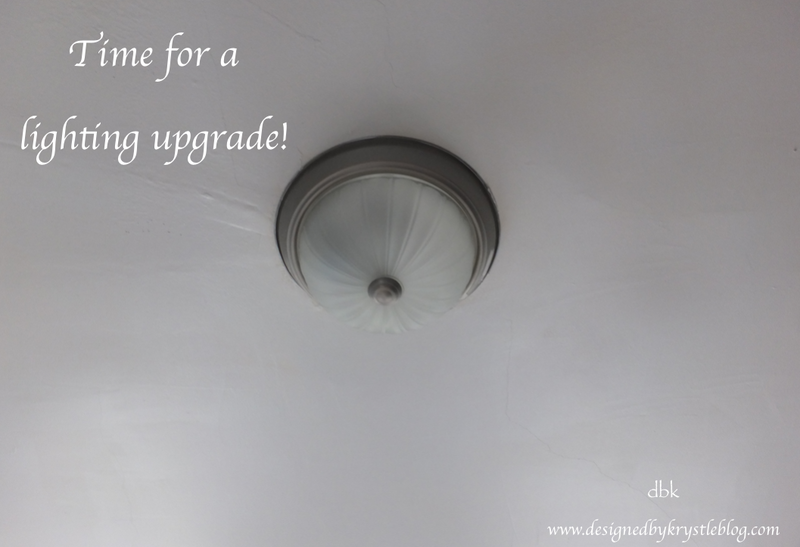 Hanging those little shoe cubbies was such a great move in that area, but there is more I would like to do… we need to change the light fixture and I would like to add a mirror (or something). The living room has a few issues too, we have everything we need in there but it’s a matter of fine tuning, finishing the window treatments and getting them up, and the same goes for the bedroom… apparently I have something against actually hanging my curtains. Lastly the kitchen. We just have storage and organization limitations there, but I think that will entail more planning to get to, so I’m not sure I would start with that. And the bathroom is off limits. Nothing is going to change in there, it is what it is and it’s perfectly fine and functional as is… though I do still need to share the little things I did there to increase the organization and visual appeal. Anyway, so that’s where my house is currently… and that is what I’m considering to get moving in the right directions with my home? What space would you tackle first and what space do you think I should tackle first in my house? Just remember, it’s not about everything being 100% finished. Your home is the story of the progression of your life. It should grow and change with you, so even if it is 100% done, there will still be little things that change in your space as time goes on and things happen. That’s a good thing. Let your home be the expression of you and give it the room to evolve with you. I am still working on getting my little home office work space fully put together so I can show you the real ‘after’ look from the shelving post a while back. I know some of you commented that you really needed to see the space finished to get the full idea of what I was trying to do there… so it’s coming. One of the last details I am working on right now is the lighting. The work space is in our bedroom, and currently we only have a hideous single bulb flush mount ceiling fixture in the room. That will eventually change, but for now, I just need some dedicated light shining on my work space for when I am working either early or late and there’s not enough daylight filtering in to balance out the space. What do you think and which would you choose? I think I know which way I’m leaning, but I always love your input! Hopefully I can make a decision and get something ordered in the next few days so I can finish the work space and share the full reveal! My home office space has felt like a joke for much of our time in the condo. For the first 6 to 9 months, I was working at the dining room table. When we finally found a desk that was a good size, style, etc., we had a hard time figuring out exactly where we wanted it to go. We settled on putting it in the bedroom. In our little one bedroom condo, the choices were between the kitchen, living room and bedroom, and as P does a lot of work in the living room with the TV on in the background to stay current on his industry, I wanted to have my own space where I could shut the door if necessary. We first added the desk near the door, we tried to add an old shelving unit from Ikea to see if it worked there and ultimately it just felt too crowded, but I had a plan! We shifted the layout around and now the desk space feels like a comfortable work place for me to do my thing whether I’m spreading out on the surface with layouts and material planning or I’m typing away working on the blog. But still there was something missing. When I chose the desk, I wanted something minimal. When you have a small space and you are adding a substantial piece of furniture, you don’t want it to take over the space or weigh it down too much. That said, my desk really doesn’t have any storage. What’s more is that since I do often find myself using the entire surface to work through spaces that are in process I really wanted to do something to relieve the surface space from having to carry the necessities… so we added shelves! I wanted to use something long and narrow, to line up with the length of the desk, but be shallow enough only to hold the necessities and some inspirational art. 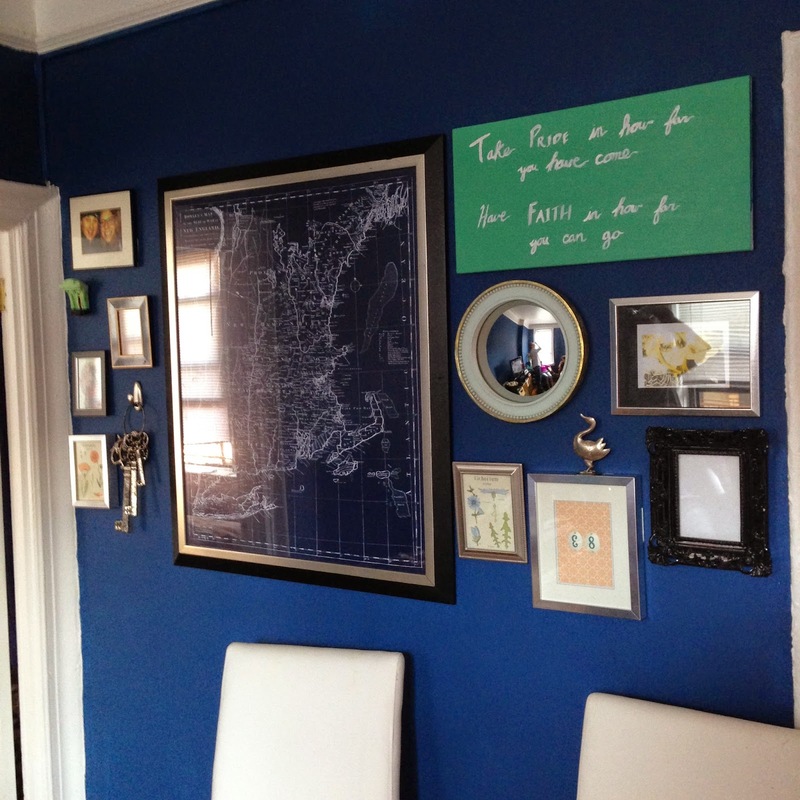 Picture rails were the perfect solution! 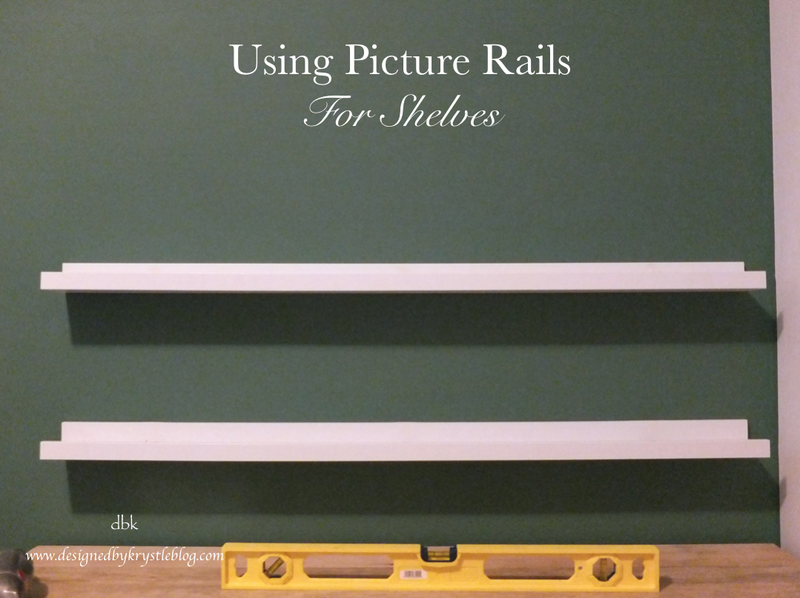 I searched and found simple white picture rails at IKEA and headed out immediately to pick them up and later that day I set out to install them as shelving in this little IKEA hack. Once again, breaking out the oldest drill known to man, along with the level and my handy dandy pencil! These shelves were so easy to put up, I even did them without help! So proud of myself! I love getting my little work space put together here. It is making a huge difference in my work flow. I love having a clean surface to work on and I love having a space that feels organized! I’m sorry I don’t have more pictures to share of the finished work space, but it still isn’t really 100% done yet, so I’ll share soon when it is! Hope you all had a great week! I know it has been quite busy around here with lots of meetings, work and life happening. This weekend is a welcome break. Well, as much of a break as I will allow myself to take — it’s so hard to sit still when there are projects to be done! So, here is my 5 on Friday list for the weekend! A look at the gallery wall as it was before. 1.This weekend I think I will work on getting some of our art hung. As I mentioned yesterday, we have quite a few pieces leaning against the wall waiting to take their places. 2. 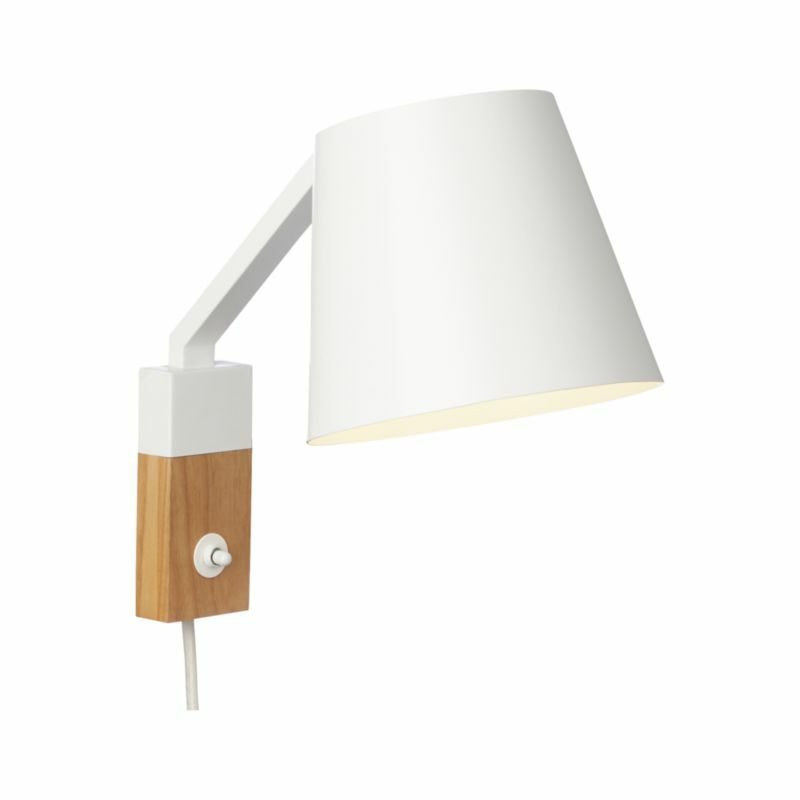 I would like to look into light-fixture and mirror options for the entryway so that we can finish that project for real and at least make some final decisions on these pieces. 3. We purchased a light fixture for the Kitchen that I will attempt to install — It is just so dark in there that we really need a better level of light to really work in that space. 4. I have some client floor plans to finalize details on. 5. And this weekend, I would like to actually plan a menu for the week so that I’m not planning things day of and cooking from whatever we have on hand. Although it is good to do this every now and again to really clean out the pantry and the freezer, I don’t enjoy doing it regularly. And if there is any time left, maybe I will read or knit, or dare I say both! Happy Friday, friends; have an awesome weekend! For the January Cure over at Apartment Therapy, you are supposed to make a list of “problem areas” within your space, room to room, and if it is bothering you or wreaking havoc on your day to day, write it down. Then you are supposed to decide which area you could actually tackle and get done within the month that would greatly benefit you and your space. We chose our entryway. 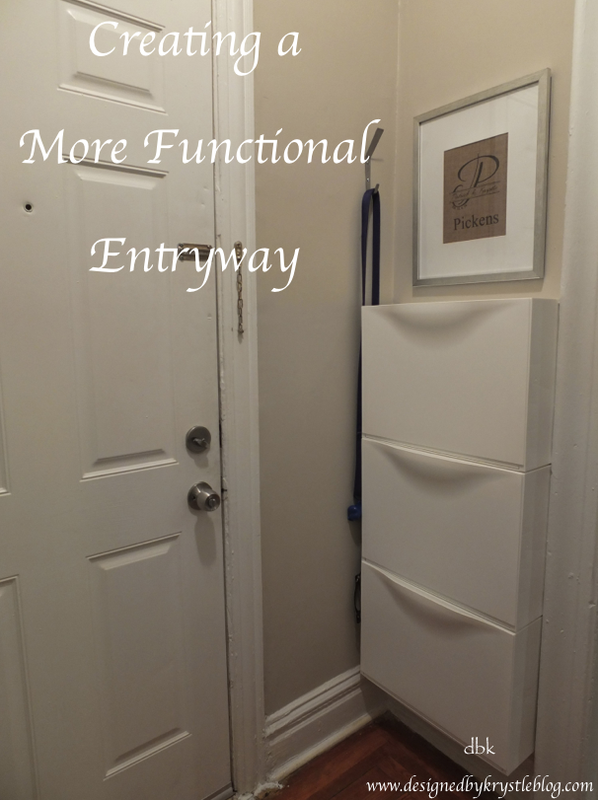 The whole entryway is a bit of a struggle – or was, anyway – because of its awkward space with all the doorways off of it, small wall spaces, etc., it has always just not functioned well for us. We tried putting a chair there, we added coat hooks, nothing made it feel better. Until, I decided to add the Ikea Trones. These little cubbies are like the best creation ever. They are a simple, stackable storage solution in a variety of colors, and I can really see how you could get a ton of mileage from them in many areas of the home. For us, simply stacked and attached to the entryway wall was the best thing we could do for that space. Now that they are in place, there is a cubby dedicated to Brantley’s stuff, a cubby for our shoes and for now, the top cubby is used for winter. I had thought about getting some sort of more finished shelf to put on the top of the cubbies, but I’ve been really enjoying the top tray shaped area to use for our keys, gym locks, etc., it really has be acting like a great landing zone for our home. We shifted some of the hooks around, put up a lovely frame that was gifted by a dear friend over the holidays and voila! We now have an awesome functioning entry space that doesn’t make me crazy every time I’m coming or going.